Pregnancy discrimination occurs when an employer treats a pregnant worker unfavorably or in a prejudicial manner due to her pregnancy or due to medical conditions related to her pregnancy. (Please see our Pregnancy Discrimination FAQs for more information). If you believe your employer has discriminated against you on account of your pregnancy, do not hesitate to contact the New York discrimination attorneys at Phillips & Associates. Our consultation is free and there is no fee unless we recover. 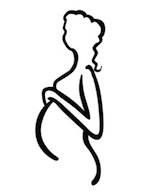 Call and speak with our pregnancy discrimination attorneys at (212) 248-7431. If you get pregnant, will you come back to work after maternity leave? For example, let's say Jessica is pregnant and applies for a job as a librarian. The job requires a Bachelor's degree in English and two years of experience as a librarian. Jessica meets both of these requirements. When Jessica attends the job interview and presents her credentials, the prospective employer asks questions about her pregnancy, her health, her due date, and how often she attends doctor appointments. The employer does not question her about the job duties or her qualifications. The employer does not offer Jessica the job position even though she is clearly a qualified candidate. Jessica has been the victim of pregnancy discrimination. Or, let's say Jessica is already working and becomes pregnant. Jessica informs her boss that she must schedule a medical appointment in regards to her pregnancy. Her boss angrily demands that she make her medical appointments on holidays or weekends and begins to decrease Jessica's workload and passes her over for a promotion opportunity. Jessica has been the victim of pregnancy discrimination. Our attorneys handle pregnancy discrimination cases in the New York City area. Call and speak with our pregnancy discrimination attorneys at (212) 248-7431. Pregnancy discrimination, such as that described in the aforementioned examples, is unfortunately very common. Several cases of pregnancy discrimination received national media attention in 2012. For instance, a recent news article reported on a pregnancy discrimination case involving Texas-based company Bayou City Wings. The lawsuit claims that this restaurant fired at least eight pregnant employees. Moreover, according to the lawsuit documents the restaurant's employee handbook specifically instructs managers to fire pregnant employees within three months of their pregnancies. If your workplace has a similar policy, or if pregnant employees are treated differently from other employees, contact our New York pregnancy discrimination attorneys immediately by calling (212) 248-7431. The news article gives a second example of pregnancy discrimination involving another restaurant. This lawsuit was filed against Florida-based restaurant J's Seafood. The lawsuit claims that the restaurant manager fired two pregnant waitresses after the waitresses informed the manager about their pregnancies. These two examples are only small representations of the many pregnant women who are discriminated against in the workplace on account of their pregnancies. At Phillips & Associates our New York pregnancy discrimination attorneys are committed to helping pregnant women safeguard their workplace rights. If you think you may be the victim of pregnancy discrimination, contact our office and one of our attorneys will be happy to discuss your potential case and explain your legal options. Both federal and New York state law protect employees against discrimination on the basis of pregnancy or intended pregnancy. If you have been treated differently on this basis, the New York pregnancy discrimination lawyers at Phillips & Associates can help you get the compensation you deserve. Our consultation is free and there is no fee unless we recover. Contact us online, or call us at (212) 248-7431.